Who’s going to be picking up a Steam Machine? Looks like Valve dominated headlines this week! This, and other great things to come for eSports and mobile games, plus words of wisdom from the CEO of Gazillion. 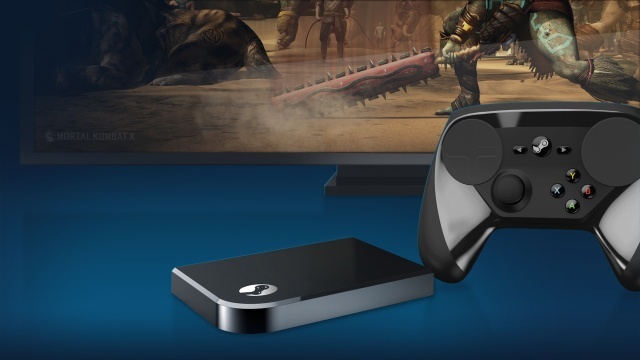 The Steam Machine and its Steam Link controller have been given a release date, according to Ars Technica! Valve’s first entry into the hardware market will launch on November 10, 2015. Consumers who pre-order will get them as early as October 16. Valve provided a demo of the controller on their YouTube channel. Valve has made a major change in their Steam policy where they will now offer refunds to consumers who have played less than 2 hours of a game and apply within 14 days of purchase, says GamesIndustry International. Valve stated their reason for making the change was to allow players who find their PCs don’t meet hardware requirements, bought a game by mistake, or just didn’t enjoy their game to reverse their purchase. This rule applies to DLC, in-game items, and pre-purchased titles as well. Make It Rain! Make It Rain, eSports! Newzoo predicts that eSports will grow to be worth over $250 million this year, and prize money to top $71 million, says GamesIndustry International. The US and China take the lead in prize money offerings. They also predict the number of eSports enthusiasts to grow by 37% compared to 2014. Gazillion CEO, David Brevik, provided advice for developers hoping to improve the state of struggling online games based on his success turning around the Marvel Heroes MMO. Mr. Brevik told Develop that the key strategy was speaking to the community directly about the changes that needed to be made and not being afraid of changing everything. He cited weekly patches and overhauling the business model, while keeping the community informed about the changes, as the top tactics. Kabam just announced a Star Wars-themed mobile RPG set between Return of the Jedi and The Force Awakens, according to Polygon. Titled Star Wars Uprising, the game tasks players with creating a character, choosing a class like smugglers, bounty hunters, rebel guerrillas, and more, and embarking on missions that allow for real-time cooperative play. The game will be free-to-play and is expected to roll out sometime this fall.